It was also a celebration for the original founder (Deana Morgan’s) retirement. 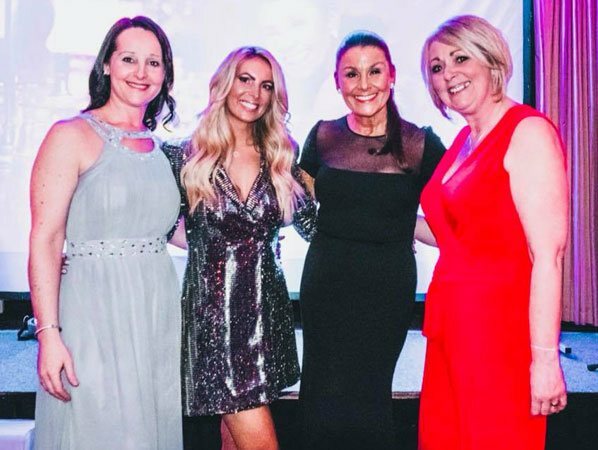 The DMA school has been taken over by Clare Quinn and Catriona Murdock (CC Dance Company) and they both wanted to ensure the evening was made extra special for Deana as a thank you for her dance tuition over the last 20 years. CC Dance Company Managing Director Clare Quinn commented. “It’s a real honour to have Deana with us on this special occasion. Deana is our Patron and we are proud of the respected, well established business she has grown over the years. The pupils work ethic is incredible and that is testament to Deana. We will continue to support the children through their dance journey with ourselves and look forward to their futures while at our dance school”. The awards got off to a flying start with children winning trophies for Ballet, Tap, Street dance & Performing Arts. On the evening four children were selected for full year scholarships sponsored by Companion Stairlifts and APP Construction, local business in the Bradford and Leeds area. The four pupils that achieved the scholarships now come to the school free of charge for a whole year which is simply incredible for them. Speaking on the 2017 awards, Megan Shearer of Companion Stairlifts commented: It is really important that we, as a local business can give back into the community and help children follow their dreams and passion. I also know from my own experience, that dance tuition not only helps on the physical side but also from an emotional side. Confidence building is something I am very passionate about and we hope that our Dance sponsorship will help deliver this. The awards ended with a hot buffet and disco, the crowd were dancing into the early hours and all went home having had the most amazing awards ceremony.